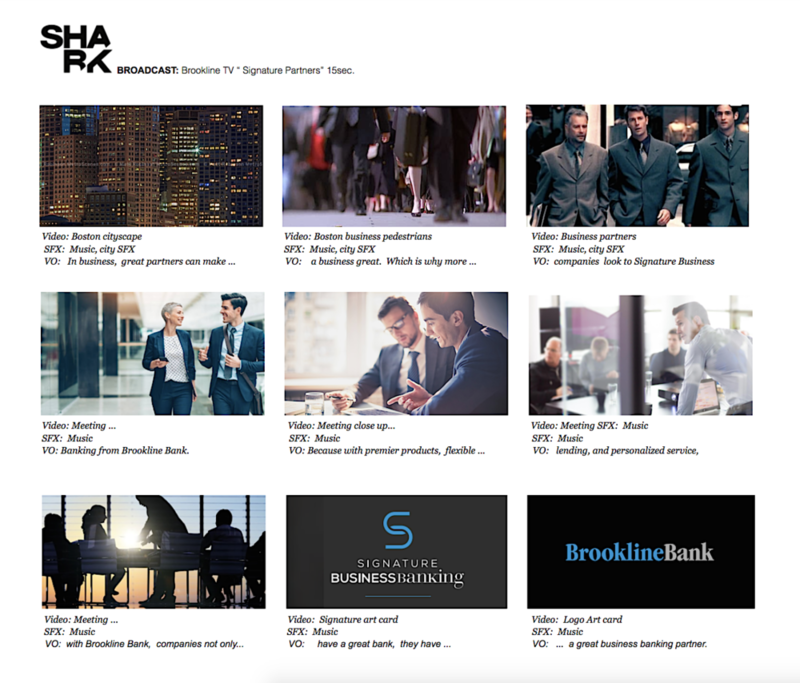 Shark produces award-winning TV and video for broadcast, OTT, pre-roll, social media, web, and digital use. From nationally-televised commercials to smaller budget, videos, we serve as a trusted creative producer for multi-media and video needs. Following the renaming, design and rebranding of The Kinetic Furniture of Vermont into QOR360, Shark produced a branded, core video with a mix of sophisticated motion graphics and lifestyle footage for use on the web, social media, and Kickstarter campaigns. This thirty second broadcast commercial was shot in Boston, Providence, and includes a contemporary editing aesthetic and multiple layers of motion graphics. 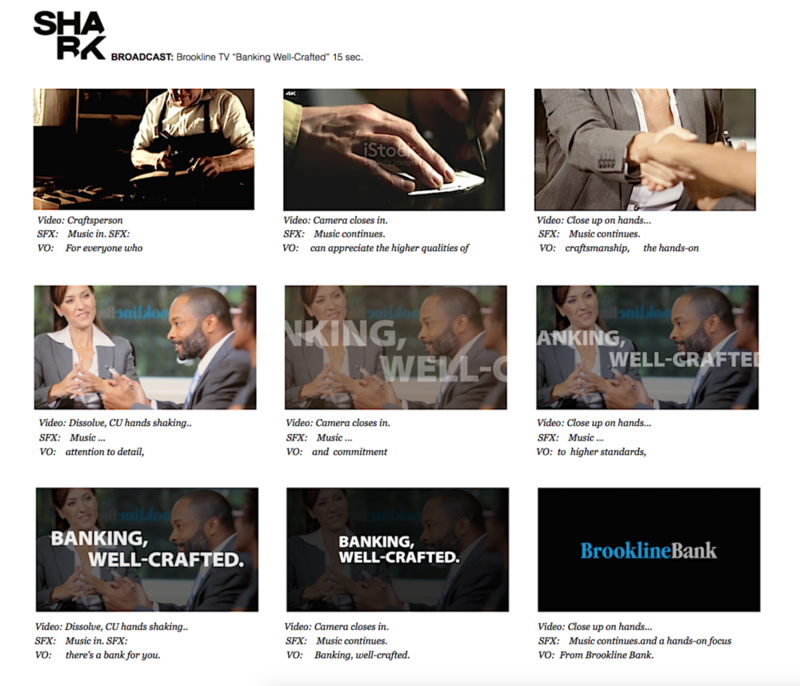 It is a primary brand ad that drives the bank’s “top-down” marketing strategy and appears across the state in broadcast and digital channels. Just one of many short form videos designed by Shark multiple times each year for use on Boston-based public TV. An upscale, thirty second, broadcast TV spot that features an elegant edit of both stock footage, and location-based shoots and a simple graphic finish. On Deck: For a glimpse into the creative and production process, see below some storyboards slated for Spring 2019 production.